Difference between a German vs. an American Keyboard? Yeah, there’s such a thing! How did I discover that there is a difference between a German vs. an American computer keyboard? On my very first day of work in my new German job, I discovered something quite interesting about my computer. That for some reason, I kept typing my last name that ends with the letter “Y” with the letter “Z”. After a few times making this error, I started to get frustrated because I can touch-type about 80 words per minute and rarely do I make typing mistakes, especially where my name is concerned. That is when I looked down at the keyboard, and the first thought that came to mind was that one of my officemates was pulling a prank and somehow switched the letters around. That’s when I looked again, and saw the addition of new keys on the keyboard for the umlauts. Obviously, my next step was to Google “German vs. American Keyboards” and that’s when I saw I had a German keyboard. I will admit, I thought keyboards were basically the same the world over, except where “English” letters were not used (i.e., Arabic or Asian scripts). I know yawn, right. Such an interesting blogpost to read, huh? But, seriously, I had debated even posting this for many months now. But, after almost 3 years, I still type my last name as ending with a “Z” instead. And, since I was totally ignorant that there were in fact different keyboards in Germany than in the US, I thought I would share this revelation here. Of course, if you have been following any of my other posts, I do try to provide some historical or technical reasons for certain things, like talking about the history behind a 12th century German castle for example. And, in this case, there really is a reason for the difference, in fact there are two main reasons for the difference in keyboards. So, in English, the letter “Y” appears more frequently than the letter “Z” in words, and therefore is placed in the middle of the keyboard in the top letter row. For you Scrabble players at home in the US, you know you cringe when you get a Z-tile! But, in German, it is reversed (shocking I know for any English-speaker who has attempted to learn German that the language seems backward from English). The letter “Z” is more common than the letter “Y” in words. And, no, while the German language has some unGodly long words, the letter “Y” is not as popular in their words. At home, I use my American keyboard. At work, I use my German keyboard. Switching between the two takes me a few minutes each time, but I do get used to it pretty quickly. “Good question, Chad, you are brilliant!” But, seriously, I will eventually return home to the States some day so I need to keep my home keyboard. And, as far as work goes, I have become German and do not want to rock the boat. But, the real reason for wanting to keep my German keyboard for work has to do with the need to type some things in German (which I will admit is mainly in Leo.org for word translations). These are basically vowels in addition to the English a, e, i, o, u. They are pronounced differently than an English speaker would think without a real 1 for 1 equivalent to English. These letters can be spelled out in an English version by replacing the two dots above the letter with the letter “e” typed to its immediate right. For example, the umlaut letter (ä) is (ae), (ö) is (oe), and (ü) is (ue). Then, one final additional letter is the letter ß, called “Eszett”. The letter ß is a consonant and is a short-hand way of typing the letters “ss” after the use of vowels. For example, “Fußball” (or fussball). Both are used, but the first is the proper spelling. By the way Fußball is Soccer for us Americans. 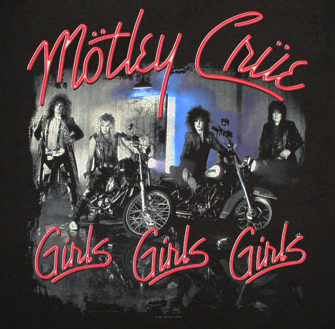 This was my first exposure to an umlaut from Mötley Crüe, a metal band of my youth. Interesting fact that I learn while researching this post is that when the band was trying to think of a band name, they felt like a Motley Crew of characters. So, they chose this name with a different spelling of “Crew”. Also, they wanted to standout from the other bands, and while drinking the beer, Löwenbräu, they decided to use the umlauts to make them seem “European”. When they toured Germany, the fans chanted “Mutley Cruh” (as this is the closest English pronunciation. Ah, Jägermeister or Jäger as it was called back in college. Translation is “Hunting Master” and the emblem on the label is in reference to two patron saints associated with hunting (thanks Wikipedia). This was 70 proof of goodness back in the college days. Now, I will not bore anyone with the details of letter evolution over the millennia. But, know that the German language uses 4 additional letters than English and switches the positions of the letters “Y” and “Z” on the keyboard. These are the main differences between a German vs. an American keyboard. There are some other differences too like certain symbols (i.e., <, >, @, etc.) and as to the reason for their placement difference, I am not exactly sure. When I need to use one of these symbols, I have to stop typing and find it on the keyboard which is a little frustrating at times. But, even with these differences, I will continue to use my German keyboard as a daily reminder I live in a different country. This reminder is very evident when I type my last name ending with the letters “sez” instead of “sey”. And, no, it is not the Jäger, it is the difference in the keyboard. ‘ß’ is not a shortcut for ‘ss’. ‘ß’ is used after a long pronounced vowel and ‘ss’ is used after a short pronounced vowel. E.g. : “Straße” (meaning ‘street’, long a sound, smother sounding ‘s’) and “Hass” (meaning ‘hate’, short ‘a’ sound, sharp sounding ‘s’). A single ‘s’ is used when its preceding vowel is pronounced neither long nor short, e.g. : “Haus” (meaning ‘house’, spoken as written). I know it’s a bit confusing. And there are more oddities to the German language, like the correct use of articles (“der”, “die, “das”, instead of just ‘the’), the strict placement of commas and use of upper-case when writing and of course the differences in the informal spoken language.